In a previous article I outlined the best degree courses to take in order to help you get a job as a quant. I also mentioned that to discuss the best UK universities was an article in itself. This is that article! Coincidentally, the QS World University Rankings for 2014/15 have just been released and some of the best UK universities have made it into the Top 10. While rankings are a contentious topic, they are (for better or worse) used as a marker by a lot of quant recruiters and financial firms' HR departments when making the decision as to whether to read a CV or not. Also, the word "best" has a lot of potential ambiguity behind it. When I say "best" I primarily mean the most likely for you to get a job in quantitative finance. This essentially boils down to a mixture of the quality of the actual content and education, the professional network available and the "brand names" that live in the minds of recruiters and HR professionals. To be honest, any of the following universities will be a strong contender for helping you secure a role as a quant. There are plenty of other universities that will also be extremely strong contenders as well. So, without further ado, here are my choices for the top 5 UK universities for getting a quant job. Without a doubt, Cambridge is still considered the best university to attend in the UK for mathematics and science. It has extremely strong programmes in pure and applied mathematics, theoretical physics, computer science and electrical engineering. It has a world-famous heritage, with some of the most famous mathematicians and scientists in history working there, including Isaac Newton, Ernest Rutherford, Paul Dirac, Alan Turing and Stephen Hawking. It is also famous as having the "hardest mathematics course in the world" when considering the full four-year course, which includes the famous "Part III" Masters level course, the "Masters in Advanced Study". Hence, Cambridge has a particularly strong position in the quant finance hierarchy. Many of its alumni end up working at some of the top hedge funds in Europe or secure high-paying jobs at some of the top investment banks. In addition to the strong academic credentials, Cambridge alumni also have access to one of the best professional networks in the world. Many Cambridge alumni have gone on to have extremely influential positions in many different areas of life. Such a "boost" at the start of a career can be life-changing. Perhaps the attraction, and possible drawback, of Cambridge is that it is steeped in tradition. Depending upon your social background you might find the culture extremely familiar and inclusive or you may find it obscure and highly unfamiliar. This is something that must be considered on a personal basis. If you are an ambitious, "naturally-gifted" student, who possesses top academic credentials then you should give serious consideration to attending Cambridge and it will certainly do no harm to your academic career. On a more personal note, I will caution you about the level of difficulty of the mathematics tripos in particular. I know of many individuals who would be considered extremely gifted by any objective measure, who went off to Cambridge to study mathematics. They let me know that in short order that the course was extremely demanding and so they rapidly changed their undergraduate course to computer science, natural sciences or engineering. This can be a significant confidence drain, right at a crucial moment in your academic development. One could argue that it is more appropriate to have strong grades from a more abstract course from an alternative university in this list, than try and attempt the Cambridge tripos simply because of the "brand name". You will need to be extremely aware of your own ability and spend a good deal of time deciding really whether you are "Cambridge material" before applying and being frustrated at the level of difficulty. Imperial was recently ranked joint-second best university in the World, with Cambridge, behind the Massachusetts Institute of Technology (MIT) at #1. Imperial is perhaps best known for its extremely strong heritage in theoretical physics and engineering. 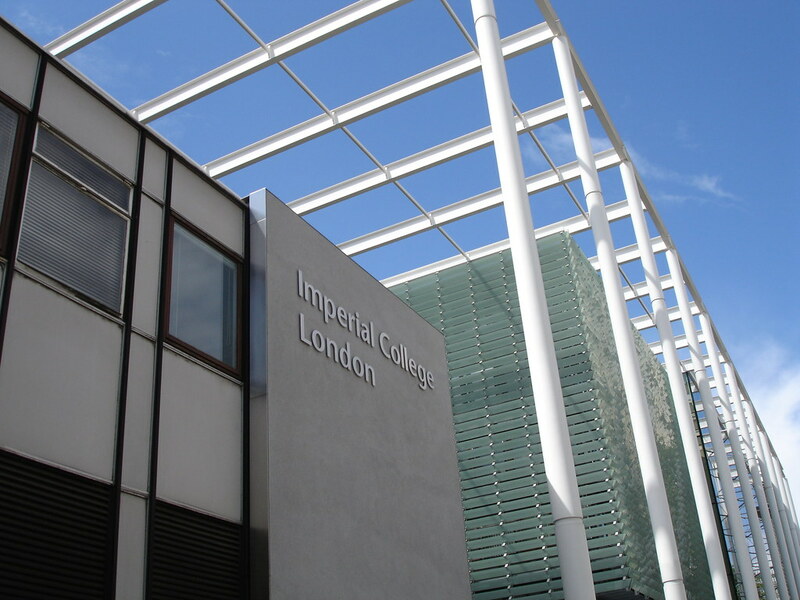 Many of London's best quantitative finance candidates are alumni of Imperial. One could argue that Imperial is the UK's "MIT" and it is often stated as such. In addition to being a very strong engineering centre, it has a vast professional network that extends to some of the top funds - both quantitative hedge funds and private equity firms, primarily because of its academic reputation and its close proximity to the centre of London. In particular, Alan Howard of Brevan Howard (Europe's largest hedge fund) is an alumnus and occassionally comes back to recruit new members for the firm. In terms of courses, Imperial is particularly well respected for its course on theoretical physics. The course is highly mathematical when compared to a more experimentally-based physics course and this level of mathematical maturity is highly valued by quantitative funds and investment banks. Some famous authors in the quantitative finance world are academics at Imperial, including Damiano Brigo, who is Chair in Mathematical Finance at Imperial. The "MFE" course, the Masters in Risk Management & Financial Engineering is also extremely well-regarded and has a syllabus highly appropriate for the ever changing industry. Of particular note are the PhD programmes on offer in quantitative finance. The Department of Finance within the Business School is active in research for financial market behaviour. In addition, the department has strong ties to funds and banks. Such projects can lead naturally to employment after graduation at both the undergraduate and graduate level. I attended Imperial between 2005-2009 to do a PhD in aeronautical engineering. The quality of the teaching and research is exceptional and I would highly recommend the university to anybody who has aspirations to become a quant. UCL has gained an extremely strong reputation as a leading centre of cutting-edge research in the last five years. In fact, ten years ago I would not have included UCL on this list. However, I have no hesitation in adding it now given the strength of their academic community and the funding it has received in recent years. Notably, it received joint 5th place along with Oxford in the QS World University Rankings. UCL is particularly well known for its computer science and statistical machine learning groups. In fact, it has an entire interdisciplinary group known as the Centre for Computational Statistics and Machine Learning (CSML) which carries out research in cognitive neuroscience, statistical machine learning and Bayesian statistics. Of particular note is a company known as DeepMind, which was recently acquired by Google for £400 million. DeepMind are pioneers in the field of "deep learning", a form of neural network methodology that is currently being employed across fields as diverse as image classification, speech recognition, and of course, quantitative trading. DeepMind were founded in part by two UCL researchers who were all former alumni of the Gatsby Computational Neuroscience Unit. If you are interested in machine learning (and you should be as a prospective quant!) then UCL should definitely be on your list of potential universities to study at - either at the undergraduate or graduate level. In addition to its strong machine learning community, UCL also has some famous alumni from its mathematics course. Roger Penrose, the eminent mathematician who authored The Emperor's New Mind, The Road To Reality and Cycles Of Time, studied mathematics as an undergraduate at UCL. 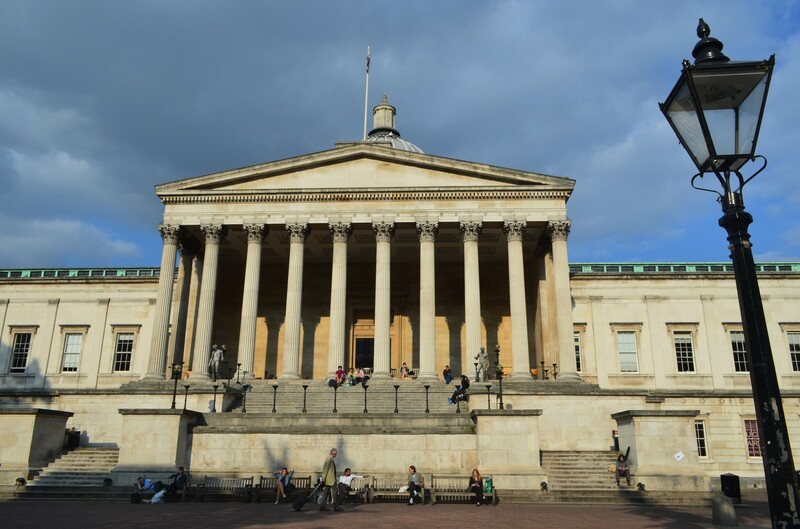 As with Imperial, UCL is situated in the heart of London, which gives it a head start in forming professional networks with quantitative employers. Oxford is the oldest university in the UK, having been "founded" in 1096. 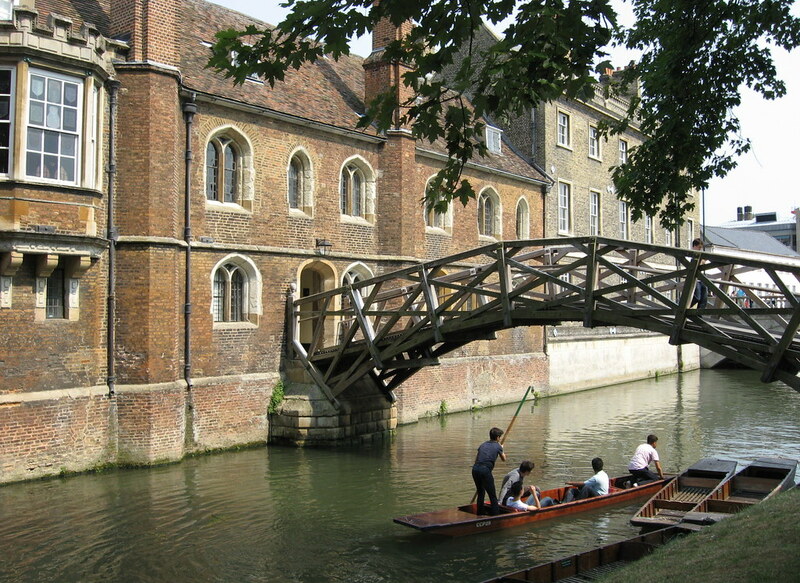 It is a world-famous institution and, along with Cambridge, is considered to be one of the two "elite" universities to attend, known as "Oxbridge". Many students from the US, in particular, make the journey to study at Oxford over the extremely prestigious "Ivy League" colleges in the States. Oxford is colloquially regarded as not being quite as strong in mathematics and physics as Cambridge, but only marginally. The Oxford courses in mathematics, physics and computer science are still regarded as exceptional - and world class by any objective measure. Oxford has a strong historical association with quantitative finance. Two well-known derivatives pricing quant authors, Paul Wilmott and Mark Joshi, were both alumni of Oxford where they studied mathematics. 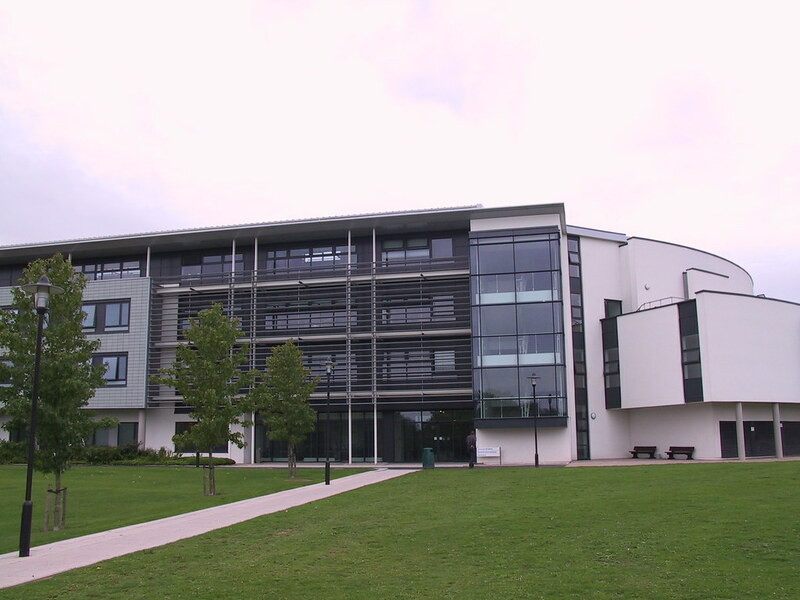 Oxford is also well known for its MSc in Mathematical and Computational Finance, which has an extremely strong reputation as one of the best MFE courses to take in the country. As with Cambridge, Oxford is a very traditional place. In this regard, the same advice that applies to Cambridge applies to Oxford as well. Notably, in the UK University Admissions System (UCAS), you are not allowed to apply to both Cambridge and Oxford. You must choose which of the elite universities you wish to apply for! Warwick has gone from strength to strength ever since its founding in the 1960s. In particular it has recently been put into the Top 10 of "Universities under 50 years old". It is particularly well known for its strong mathematical department, which is consistently ranked as world-class and on par with Cambridge, Oxford and Imperial. In fact, I would state that if you are intending to choose mathematics as your undergraduate course (which you should if you want to be a quant) then Warwick is extremely competitive when compared to Cambridge and Imperial. The core strength of the mathematics degree at Warwick is in the ability to tailor it very specifically to your requirements. The university runs under the Credit Accumulation Transfer Scheme (CATS), which allows straightforward integration of modules from different subjects to be incorporated into the degree programme. As an aspiring quant, you will likely be taking a lot of statistics, programming and stochastic calculus modules. These will be drawn from a mix of the mathematics, statistics and computer science faculties, which all work very closely with each other at Warwick. Thankfully, the credit transfer system makes this very easy. It is worth comparing the content between a 4-year masters mathematics degree (MMath) from Warwick and the three-year mathematics tripos at Cambridge. Terms at Cambridge are only eight weeks long, while at Warwick, they are ten weeks long. For mathematics there is no "reading week" so you gain 20-25 full weeks of tuition a year, with 5-10 weeks of exams and tuition overlap. However, I would state that the level of content reached by Cambridge in 3 years is roughly equivalent to what is studied in Warwick in 3 1/2 or 4 years. It's not quite the same comparison, as Cambridge and Warwick specialise in differing topics. This is only natural, as academics will tend to teach upper-level courses on subjects they are currently researching. Hence at Cambridge you will likely see a lot of upper-level courses geared towards theoretical physics, as parts of the famous MAST ("Part III") are run out of the Department of Applied Mathematics and Theoretical Physics. Warwick, on the other hand, has a well-reputed MSc in Financial Mathematics (in fact, it had one much earlier than many other universities) and fourth-year candidates in the MMath can share a lot of the courses, which gives a natural advantage to an aspiring quant. Warwick is also extremely well known for being a centre of excellence for stochastic partial differential equations (a topic that is absolutely essential for quantitative analysts). Only very recently Martin Hairer won a Fields Medal (the "Nobel Prize" of Mathematics) for his work on stochastic PDE while at Warwick. I attended Warwick from 2001-2005 to do an MMath undergraduate mathematics degree. I found the quality of the teaching and the enthusiasm of the academics in the department to be exceptional. My time there was actually one of the most enjoyable experiences of my life. I have absolutely no hesitation in recommneding it as a place to study - especially for becoming a quant. In summary, I would say that your best bet for gaining a career in quantitative finance, with all other things being considered equal, is to try and attend Cambridge, Imperial or Warwick (the latter only if you are considering mathematics). The Cambridge mathematics tripos is an extremely demanding course and you should only attend if you honestly believe you are likely to receive an upper second (2:1) or first class degree, otherwise you are better off heading to Imperial or Warwick. UCL is great if you are not 100% certain of being a quant and might become interested either in a career in data science or as a researcher in machine learning. It is also situated in London and this may be appealing for personal reasons. Oxford also has an extremely strong mathematical finance heritage, hence if you wish to be a derivatives quant specifically, you should give Oxford serious consideration when compared to Cambridge. In addition, you may prefer Oxford as a city, since it is much larger than Cambridge. This is a personal decision, of course!